Remember last year’s Christmas Badge? This year there’s another chance to get your hands on it, along with the shiny new 2016 range, starring Ralph the Reindeer! This year’s official uniform Badge, along with a unique Blanket Badge and themed Christmas cards are all available to order now through the Christmas Appeal. 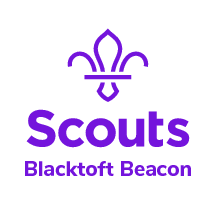 By ordering these badges and cards, you’re helping The Scout Association to support young people for generations to come. Your donation will help young people across the UK reach their potential and develop skills for life, as well ensure those on our waiting list have the opportunity to join the Movement. 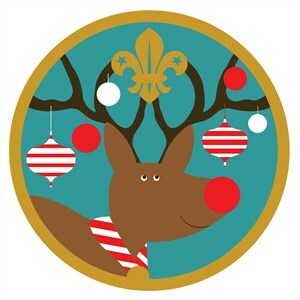 Many of you are already planning your activities and events for Christmas; by donating to the Appeal you can receive two new, exclusive badges for you and everyone in your Group (minimum donation of £1 per uniform badge and £1.50 per blanket badge). They make the perfect present for your end of year parties and celebrations. Lots of Groups have already ordered their Badges and are delighted with them, so don’t miss out! The brand new Christmas cards are also available – a great way to spread the Christmas spirit to friends and family, or to thank a leader who’s made a difference this year. Support our Christmas Appeal this year and help us ensure that Scouting for All becomes a reality. Your donation will change lives by supporting those Scouts who need it the most.